US president Barack Obama recently said he would sign an executive order barring federal contractors from discriminating on the basis of sexual orientation. While the order may not have much effect on the contractors themselves—24 of the 25 largest contractors already have nondiscrimination policies, and have since at least 2012 —pro-LGBT activists, such as the discrimination watchdog group GetEQUAL, welcomed the move . New data, however, suggest that the hurdles facing LGBT workers have been shrinking. 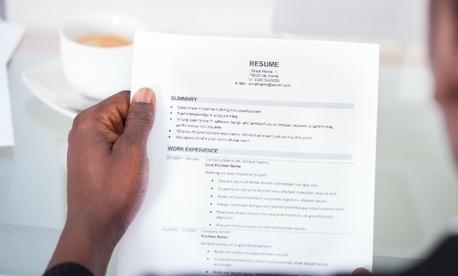 In fact, mentioning sexual orientation on a resume may actually give some LGBT applicants an advantage over their heterosexual counterparts—especially if they also happen to be African-American. In 2005, the Harvard sociologist András Tilcsik conducted a survey (published in 2011) analyzing discrimination in average “callback rates”—how many resumes an entry-level candidate must send before getting a call back from a potential employer—for gay and straight male applicants. When the fictional “resumes” contained a reference to membership in a gay university student organization, the callback rate dropped by 40% . Tilcsik’s survey of 1,769 potential employers found discrimination was worst in some states, such as Florida and Texas, where the gay callback rate was less than one-third that of the non-gay applicants. But in 2012, Carnegie Mellon University researchers Alessandro Acquisti and Christina Fong found a very different result : their study of 1,000 potential employers, published in 2013, found virtually identical callback rates for fictional gay and heterosexual male applicants. And when the LGBT applicants are black men—a group that has experienced a well-documented disadvantage (paywall) on the jobs market—the results can be even more striking. New research by the Princeton University sociologist David Pedulla, published in March in Social Psychology Quarterly (paywall), suggests that for black male applicants, coming out may actually result in a higher starting salary. In September 2011, Pedulla conducted a national survey of 400 potential employers, using entry-level resumes for fictional men which were identical—down to which branch of Target all the applicants worked for—except for “black-sounding names” and gay student organization membership. What he found was that stereotypes of black men being “more aggressive”—which negatively impacted applicants’ chances— were effectively cancelled out by “the feminine stereotype” of gay men. (Pedulla gauged “threatening factor” based on respondents’ agreement to survey questions such as “this applicant is likely to break workplace rules” and “this applicant is likely to steal from the workplace.”) Black gay men were seen as “more warm,” and therefore less threatening, resulting in a higher suggested starting salary than that of even white heterosexual men. Pedulla tells Quartz that his research “sheds light on some of the implicit and explicit biases” that hiring managers may have about black men, and pointed out that the only variables in his study were race and sexual orientation. While this study was based on theoretical jobs and conducted under survey conditions, Pedulla told Princeton that in the future, he “would be interested in conducting an experimental audit study of real job openings in the labor market where the race and sexual orientation of the job applicants were experimentally manipulated.” He is also interested in examining whether or not similar patterns emerged “across different markets, such as credit or housing markets,” Pedulla told Quartz. Unfortunately, the benefits of being out don’t necessarily persist once applicants are in their workplaces. Pew Research’s 2013 survey of LGBT Americans found that one in five LGBT workers still report having experienced discrimination in the workplace, and 26% of transgender workers reported having been fired for being transgender (pdf). And while entry-level applicants are seeing progress, many executives still report being afraid to come out at work .